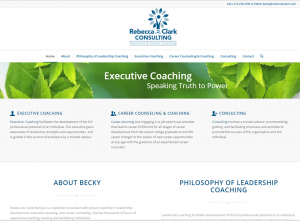 Becky Clark is a Executive & Career Coach in the Dallas/Ft. Worth area. She wanted a new, fresh look for her logo and her website. Launched in December, 2015, her site is clean and concise in its look and message to current and potential new clients. I've had the pleasure of working with Amee from the very beginning stages of her start-up company. I designed the product/company logo along with the website and a variety of marketing support materials. 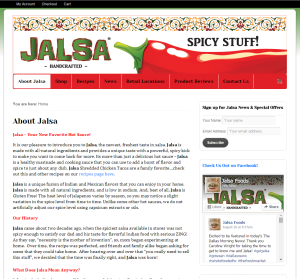 Jalsa is a unique fusion of Indian and Mexican flavors that you can enjoy in your home. Jalsa is made with all natural ingredients, and is low in sodium. Jalsa, in the Indian language of Hindi, means Celebration, Festival or Fun. 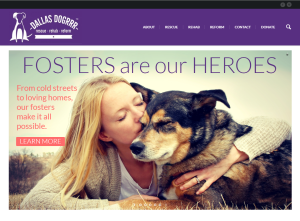 I am a member of DALLAS DOGRRR and donate my time and design skills to the group. I designed the group logo and their website. DALLAS DOGRRR is a group of dedicated, animal-loving volunteers who support the abandoned dogs of Dallas, Texas, by collecting supplies, paying vet bills, locating foster families, facilitating adoptions, and advocating for a more hopeful future. We are often seen even in the trenches of SE Dallas searching for and rescuing forgotten dogs. We have no administrative fees; no one is on payroll. Every single cent that is donated goes directly to paying for vet bills and food/supplies for our rescued dogs, as well as for boarding (for those that don’t have fosters). We are simply a group of volunteers motivated by the inspiring rescue stories that we get to be a part of every day! St. Mark's School of Texas is a private all-boys school in Dallas, Texas. My son graduated from this fine institution in 2012. I've been honored to work with the school and the Parents' Association over the years on a variety of projects. The Parents' Association hosts a fundraising event called Celebrate St. Mark's. I've created the event logos and supporting materials for this event and many others. The American Orthodontic Society (AOS) is a professional association for general and pediatric dentists who choose to add orthodontic skills to their practice. The AOS hosts a meeting in a different location each year. The event logo and supporting materials are designed to highlight the meeting location. I've been working with the AOS since 2004. I've designed lots of logos for dental practices! I've had the pleasure to work with dozens of dentists, orthodontists and dental specialists. 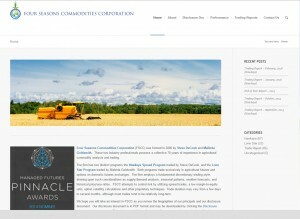 The work includes practice logos, printed marketing materials, and websites. I've designed a number of logos for corporate clients through the years. Here are a few samples! The Hockaday School is a private all-girls school in Dallas, Texas. I've enjoyed working with the school and the Parents' Association over the years on a variety of projects. The Parents' Association hosts a annual fundraising event called the Benefit. I created the event logo and supporting materials for this event in 2011. HOCKA | ARTS is a 2015-2016 school year event to celebrate the visual and performing arts at Hockaday. The Fun Day logos are for an annual fall carnival hosted by Hockaday and St. Mark's for students at both schools. The event rotates from the Hockaday campus to the St.Mark's campus every other year. Jesuit College Preparatory School of Dallas is a private all-boys school in Dallas, Texas. I've been honored to work with the school on their Celebration Auction which raises money to open the doors for students to attend Jesuit through their financial aid endowment. I've created the event logos and supporting materials for several of these events.